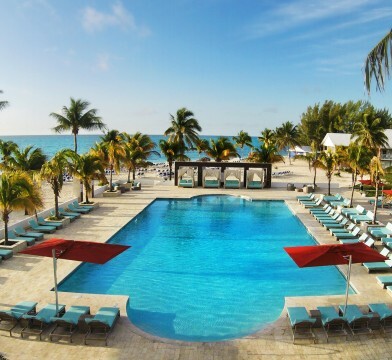 Whether you’re looking to get away from it all at an intimate hotel overlooking the ocean or prefer to have your every wish taken care of at an all-inclusive resort, Grand Bahama Island has the perfect accommodation for you. Choose from an array of options, including luxurious resorts with a wide range of attractions, beautiful beachfront properties with personalized service, or budget-friendly hotels ideal for the whole family. Explore all of your Grand Bahama accommodation options now! Travelling by boat? Click here for a list of marinas on Grand Bahama Island. 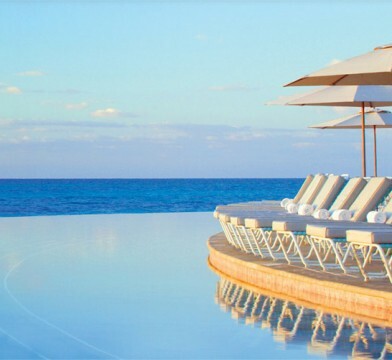 From romantic escapes for two and wedding parties of 20 to family reunions of 200: The hotels and resorts of Grand Bahama Island have everything you could possibly want for your next get together, special event or dream vacation. Our range of accommodations will wonderfully suit every need, every budget. This quaint hotel is conveniently located 200yds near the beach, just minutes from downtown Freeport, the Treasure Bay Casino and the Lucaya district. 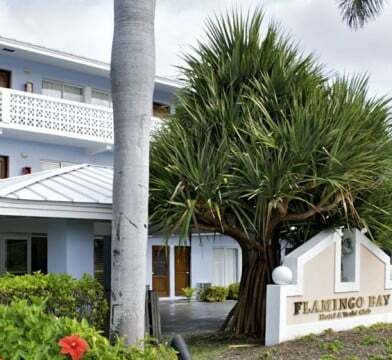 At the Flamingo Bay Hotel & Marina,... see more you will find clean, comfortable guest rooms to make your stay on Grand Bahama Island most enjoyable. All rooms include standard amenities, kitchenette, cable television and more. Enjoy the perfect carefree vacation on Grand Bahama Island! Stay at one of our all-inclusive resorts and enjoy wonderful accommodations, a variety of local and international dining options, outdoor recreational activities, and more—all included in the price. Everything is taken care of…including you. At Lighthouse Pointe, the island authenticity of the Bahamas meets the ease and affordability of an all-inclusive resort. Guests enjoy spacious, stylishly appointed guest rooms and... see more exclusive access to four new restaurants, as well as all recreation, entertainment, meals and premium-brand beverages, gratuities, taxes, service charges and more. Imagine 1,200 feet of powdery white sand, and emerald green waters dancing at your feet. At Viva Wyndham Fortuna Beach All-Inclusive Resort, you’ll be surrounded by tropical island... see more bliss as you soak-up the Bahamian sun and cool off in our beautiful ocean. Let your hair down, kick-off your sandals and spoil yourself with the endless amenities at the resort.